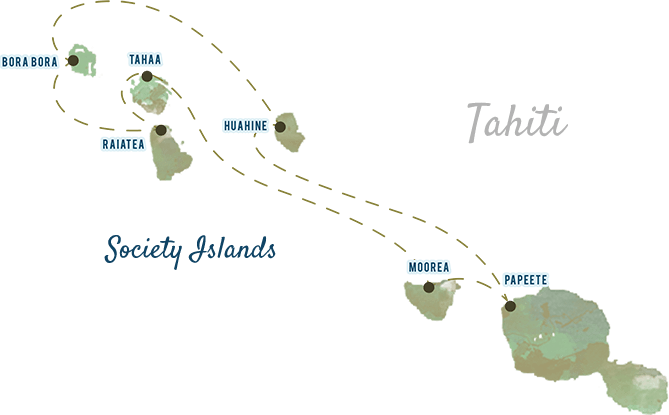 If you haven’t seen one Tahitian island, let alone six, now is your perfect opportunity aboard a boutique sailing ship. Depart from Los Angeles (LAX) and set foot in Tahiti in only eight hours. Then, step aboard Wind Spirit, an intimate ship that takes you to the most serene destinations in Tahiti. Experience hidden harbors, crystal-clear coves, and pristine white sands massaging your every step. The islands of French Polynesia invite you to discover their own distinct magic. Hop ashore to the enchanted landscapes of Moorea, or explore Raiatea’s lush forests and black pearl farms. Melt into the warm lagoons surrounding the exquisite peaks of Bora Bora. Relax on board as your ship glides into small bays other cruise ships can’t reach and drops anchor in shallow waters teeming with schools of tropical fish. Jump into a beautiful palm-fringed lagoon from the Watersports Platform. Or simply unwind on deck, enjoying paradise and endless pampering. This is how Tahiti was meant to be seen. 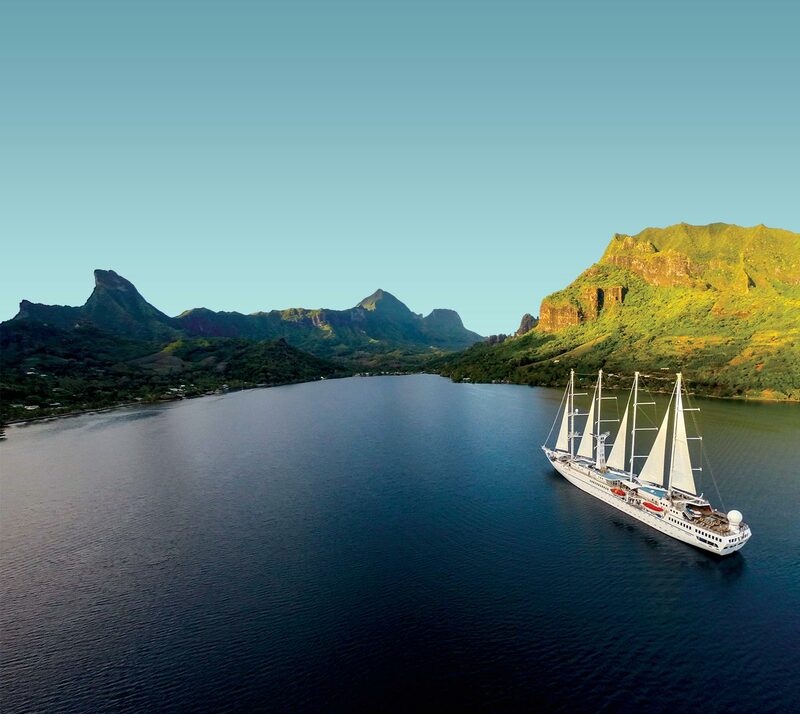 "Windstar offers a distinctly different cruise experience in Tahiti." Your private island celebration on the beach promises to be an extraordinary event with a menu carefully selected by Windstar’s executive chef and Polynesian fire dancers displaying their artistry and local traditions. 11-day itinerary also visits Raiatea.